If it’s one thing I do well, it’s tan! Spending an hour in the sun will see my skin beautifully bronzed and my tan be the envy of a lot of my friends. It cannot be helped… my wondrous ‘Totty Tan’ – yes, it has even been given a name as I look like I have been on holiday, when in actual fact I have been sat in my garden! Though, for the past couple of weeks I have had help from a great brand that has recently been brought to my attention. 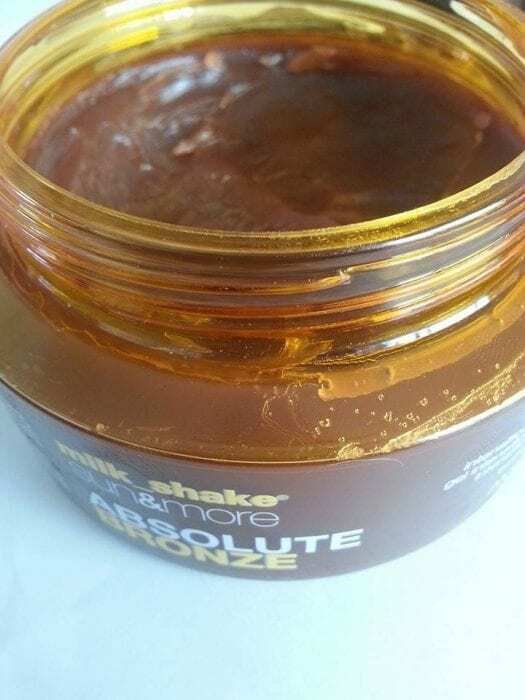 Milk_shake generally offer hair care products, which I will be putting to the test in future posts – but the Sun & More range offer tanning products that help anyone achieve a gorgeous sun kissed tan… and retain it! I was sent the Milk_shake Sun & More SPF 15 Suncream, Sensual After Sun Hydrating Milk Lotion and Absolute Bronze Tan Deepening Gel to put through its paces. With a tan like this without venturing outside of the UK, in fact outside of the North of England… yes, we do actually see the sun up here on occasion – clearly these products work… so let me tell you a little more about them! Sun & More SFF 15 Suncream – offering medium protection (I never tend to use over SPF 15 anyway) this suncream is non greasy and easy to apply. Definitely for adult skin and those who are dedicated sun worshippers like myself. Definitely a light ’emulsion’ and absorbs into the skin quickly to give a moisturised look. I never felt as if I was burning using the suncream, I did use two applications throughout a day’s worth of tanning in the garden and did not notice any areas that had burnt as opposed to tanned. After my tanning was over it was inside to coat my glistening skin with the Sun & More Sensual After Sun Hydrating Milk Lotion. In a very handy, pump action bottle that seems to be lasting a good while, it really was heavenly to rub this over my skin. Not simply for the fact it is a great lotion that really soothes your skin after a day in the sun, but also for the fact it smells like Opal Fruits (or whatever the kids call them these days!). I kid you not, it smells so divine, I could quite happily have gnawed at my own arms and legs! It has definitely aided in a longer lasting tan and has left my skin very smooth. I’m quite happy to use this all year round! I love this range and if you are a tan-aholic then you too need it in your beauty bag this summer! Ahhh so this explains the fab tan you’ve been rocking this week! That tan deepening gel looks and sounds amazing! I need to spend some serious time on my tan. It is lush and definitely prolongs the tan, it gives you a wonderful, deep colour! You will not be disappointed! Would definitely recommend the After Sun lotion for people who struggle with tanning – makes your skin gloriously smooth and moisturises perfectly! I’m so jealous of your tan! It makes you look very bronzed! It isn’t a tanning product, it just helps with your tan but is amazing and makes your skin feel so soft! I need this before Friday!!! Oooh, it’s times like these I wish I was a sun worshipper! Perhaps, I should give them all a go!